LOL yeah...my husband is convinced that o am insane. 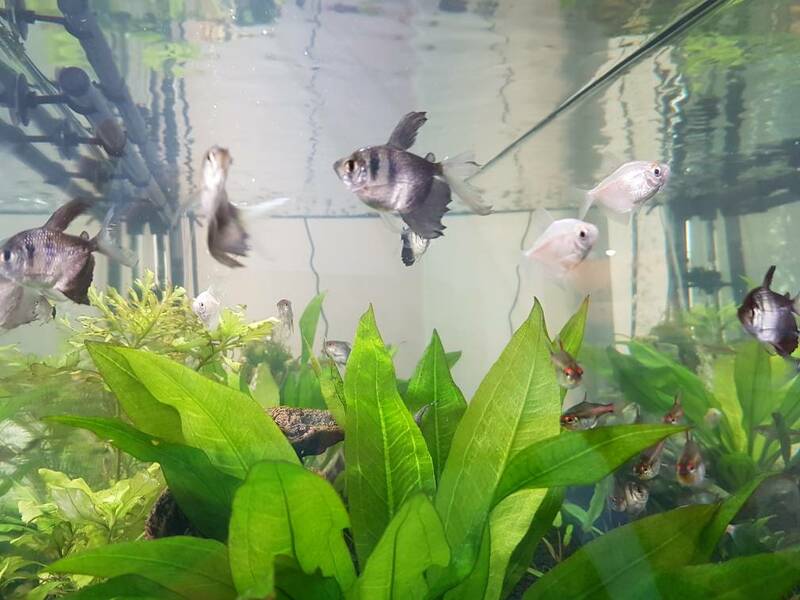 I started with a tiny 5 g and they just seem to keep getting bigger lol! This is a view from the side of it. Last edited by NBGwen; 02-18-2018 at 04:06 PM. Last edited by NBGwen; 02-18-2018 at 04:05 PM. Everyone starts small and works there way up. I still remember when I went from a 15 to a 35G. How huge that 35G felt. Well now my smallest tank is a 125G. I went from a 10 to a 55...bow my 75 g looks so huge to me. I get so much enjoyment from them. I have a 9g as well (fluval flex). I even enjoy cleaning them! Here's a few more photos. 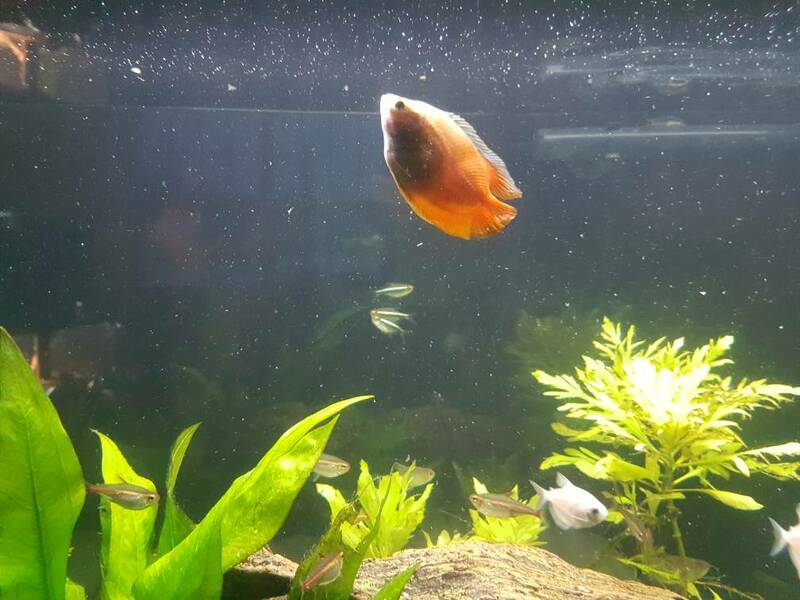 A front and back view, my red flame gourami and male and female veiltail bettas (I have the most docile male I have ever seen). I'm going to add a little video in a bit. Just need to upload it to YouTube. Very nice looking tank. One question for you... I saw where you have a couple of Bettas. I've always rather shied away from Bettas in a community tank because I thought they'd relentlessly attack one another. Is this not the case? I have an incredibly docile male and female. It was pure luck that they both have really peaceful personailities. That being said, I'm on a first name basis with most of the staff that care for the fish at my local Petsmart. One of them suggested the female to me on the agreement that if my male was aggressive with her, I was returning her asap. It's a 75 g and they have lots of space and places to hide. I've never seen them pick on each since the first day. They faced off a bit, measured each other up, and then stuck to their own territories (I had thrm in the 55 g at that time). It can be done, just carefully. 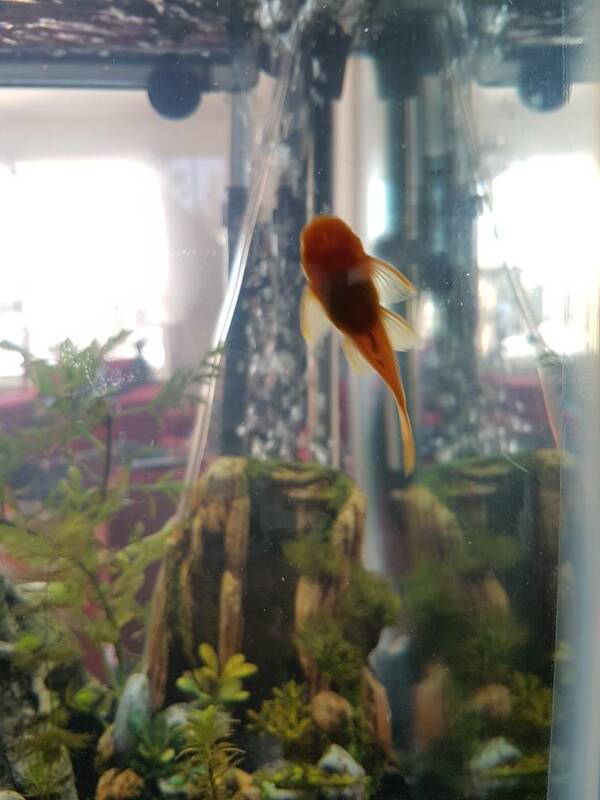 Just an FYI - I have zero intentions of trying to breed my bettas. I have them because they are a beautiful pair...they are seldomly close to each other. my dream is to one day have a salt water aquarium. 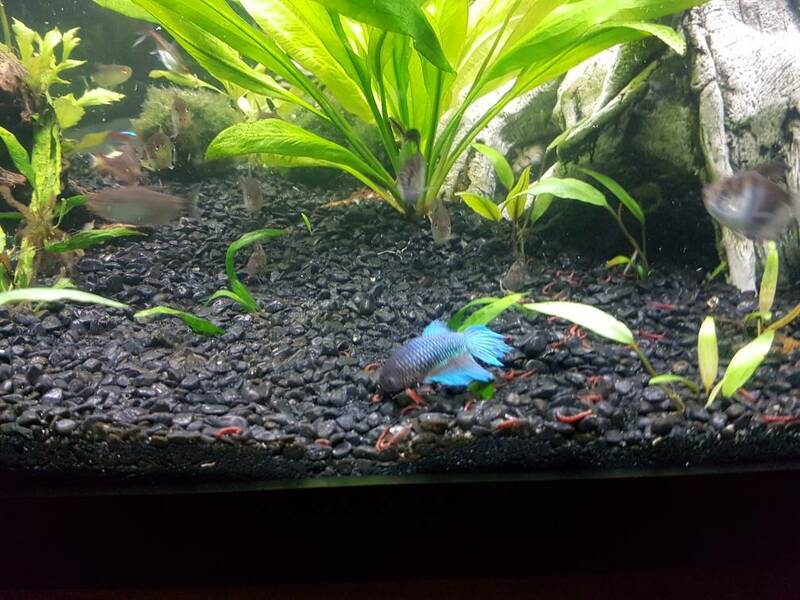 Very nice love the Betta tank looks very active . Update on my 75 gal. One photo of the shells is the boneyard from my assassins lol. A few shots of my stock. I need to clean it.